General Bekir Ercan Van, the commander of Turkey’s Incirlik airbase, which is used both by the Turkish Air Force and NATO forces, has been detained by Turkish authorities accused of complicity in the attempted coup. The senior Turkish military commander was arrested along with over a dozen lower ranking officers at the base, AFP reported. A government official has confirmed with Reuters that the general has been detained. Earlier on Saturday, movement in and out of the base in southern Turkey was blocked by local military authorities. 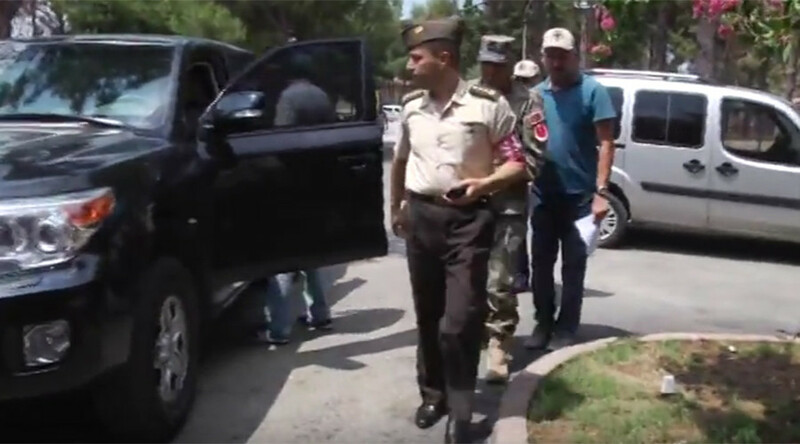 The US has reportedly denied asylum to General Bekir Ercan Van, the commander of Turkey’s Incirlik airbase, who was arrested for plotting the failed military coup in Turkey, The New York Times reported, citing a person familiar with the matter. Earlier, American officials were reportedly approached by General Bekir Ercan Van, asking for asylum. According to an agreement between Ankara and Washington, Incirlik is used by NATO and stores US tactical nuclear weapons. The airbase is also being used by the US to launch airstrikes on Islamic State (IS, formerly ISIS/ISIL) in neighboring Syria, which temporarily ceased following Friday’s military coup attempt. On Sunday, Pentagon spokesman Peter Cook announced that the US coalition had resumed its anti-IS air operations in Turkey. According to the press secretary, this was made possible by “close coordination” with Washington’s Turkish “allies.” Yet, the electric power supply to the base is still cut off, TASS cited the military official as saying. The power outage has not affected operations, he claimed, adding that American objects at the air base work off an internal power supply. In the wake of the failed military uprising, the Turkish authorities have been conducting “anti-coup” operations at the base. Some members of the Turkish Air Force have been arrested on suspicion of having supported the coup. Authorities have also claimed that at least one of the planes “hijacked” by the coup plotters was refueled at Incirlik, according to AFP. Ankara has arrested some 6,000 people believed to have been involved in the attempted coup and the number “could surpass 6,000,” as the “cleansing” operation is ongoing, Turkish Justice Minister Bekir Bozdag said in a television interview, as cited by AP. Addressing his supporters after the first victims of the uprising had been laid to rest, President Erdogan said on Saturday that the parliament may discuss reintroducing the death penalty in Turkey, Reuters reported. The remark reportedly came in response to the crowd, which was chanting for the perpetrators to be executed.